The Triathlon Book: Really, what should I do with my swim training? When it comes to swim training, it seems that there are as many approaches as there are swim coaches. Some will tell you that you need to swim all four strokes, some will tell you that you only need to swim freestyle. Some will tell you to just do drills, other to just swim. Some will tell you not to kick, others that the kick is very important. And then there is front-quadrant swimming… kayak swimming… high elbow… straight arm… relaxed… Enough conflicting advice that will make your head spin. The first question when it comes to swimming revolves around “technique”. Swimming is “90% technique” some will tell you. When asked about what is good technique, they’ll usually pull up a video from Popov or Thorpe swimming and tell you that is an example of good technique. The main problem with that approach is that most triathletes are a long way from Popov or Thorpe, not to mention a one fundamental detail: triathlon swimming is not done in a pool, but is usually done in open-water. Therefore, in order to find out clues about what we should seek for triathlon swimming, let’s go take a look at a class of athletes that specialize in a discipline that is closest to triathlon swimming: open water swimming. If you’re used to watching triathlon swimming, the first time you watch pure swimmers swimming open water you’ll notice two things. The first is how bad their form looks. These guys don’t look like Popov or Thorpe. They have what might look like terrible strokes, they sight way more than they need, etc. The second thing you notice is how much faster they swim when compared to triathletes. When you see them rounding a buoy, it might seem they’re going twice the speed than Faris Al-Sultan rounding the boat while leading the swim in Kona. You see them take off at the start and you know that they would drop the front pack at ITU races. So clearly, if the top athletes in the discipline swim like that, why would we want to have triathletes swimming like Thorpe or Popov? Clearly their “bad” form does not prevent them from being fast. When I started coaching triathletes in the pool, I went through the usual “technique” period. The Total Immersion book was my bible. I had technique-only days. Sessions wouldn’t go over 2400m because I felt after that my swimmers would start to lose form. My swimmers became extremely proficient at kicking on their side, at swimming one-arm, at counting strokes. Because I was doing regular testing, it became increasingly frustrating to see how slow their improvement was. So maybe that wasn’t the solution. Maybe the solution was to swim more. So slowly, from season to season, I’ve increased the mileage. And guess what, they started to improve faster! It turned out that treating swimming as any other aerobic sport and planning training accordingly had better results than focusing on “technique”. Swimming is a difficult skill to master, especially to those that learn it later in life. It’s a skill that needs to be practiced. A lot. The problem with drills is that each drill is a different skill to learn. So introducing several drills in your routine will have you learning many different skills, not just one. Of course it can be argued that drills have a positive transfer to the actual stroke. But for those that have used drills extensively know that this transfer is a bit of wishful thinking. A drill can be used to show the swimmer a particular flaw in his/her stroke, but the correction comes from giving feedback on the whole motion, not by expecting the drill to transfer the correction to the stroke. From all the years I’ve been coaching triathletes, I was lucky enough to have athletes progress a lot with their swimming. All of those progressed because of the commitment they put in their swimming by swimming more. Some people will say “Well, they swam faster because they were fitter, not because they have better technique”. That is a bit simplistic. What happened is that they both got fitter and achieved better technique, because in a sport like swimming, you can’t get faster by just improving one of the two. Probably their form stayed the same, or even looked worse as they improved, but as long as triathlon doesn’t have artistic marks, I will continue to focus on getting my athletes faster. In the next post I’ll talk a little about the single most important factor that determines speed in swimming. It was pointed out by “Doc” Counsilman almost 40 years ago, maybe that’s the reason why it is so forgotten these days. Best chapter in "the book" so far IMO. Helps those of us trying to cut through all the noise. I think you missed one of the points of the post. I don't really care how swimmers LOOK. Are they fast or not? You definitely missed the point I was making. withdrawn...I read again and see your point. We need articles about running and cycling! Swimming is boring. I strongly disagree. Swimming is a very interesting sport, and in triathlon it should receive as much attention as bike and run. THAT's your ticket to a sweet 3:31 1/2 IM run split, people! I don't know in Las Cruces, but here in LA there is NOTHING more important than how you LOOK at (by) the pool! I am an ex-college swimmer from the 70's who coaches masters. I hardly ever do drills. I really do not see the point. I get my swimmers tired then I correct their flaws. Their flaws appear when they are fatigued. Another coach in the area only coaches drills. As a matter of fact, he has a big following. The drillers at his workouts think that by doing 2,400 yds of drills for an hour 3 days a week is going to help them. I think it hardly will. My swimmers will always swim faster than drill squad types becasue we train hard using INTERVALS not drills.. I am a national swimmer over the pond in the UKand can say that you do not have to inprove both technique and fitness to gain better times. i have a rubbish technique according to all the coaches yet this season i have gone froma 27 for 500 fee to a 25 for 50 free with no work on technique just pure miles in the pool. 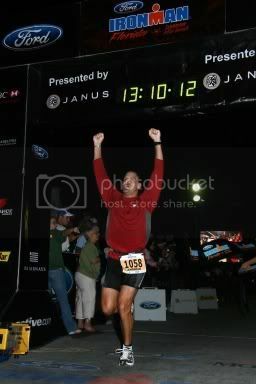 I am also an elite triathlete. theh reason open water swimmers look like they are going so much faster is ecause they are tehy do not have to bike and run after teir race. the ITU giys are not slow swimmers 1500 open water in 18minutes is not bad when you think they hen go on to do a sub hour 25mile bike ride and then 30-32minute 10k run.